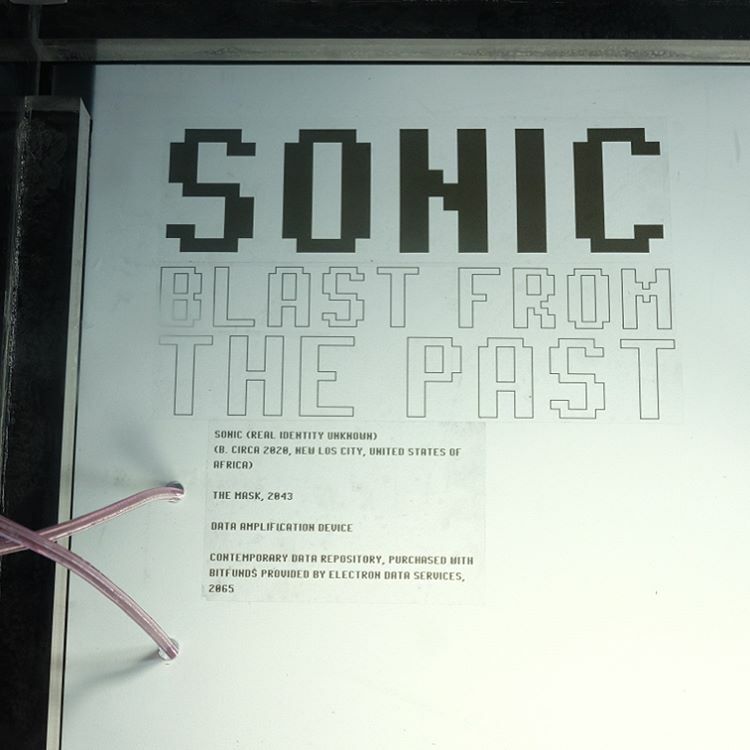 Given the speculative nature of Sonic Graffiti, for the exhibition design, I imagined the object in the context of a museum which exists in the same fictional future universe as Sonic Graffiti. 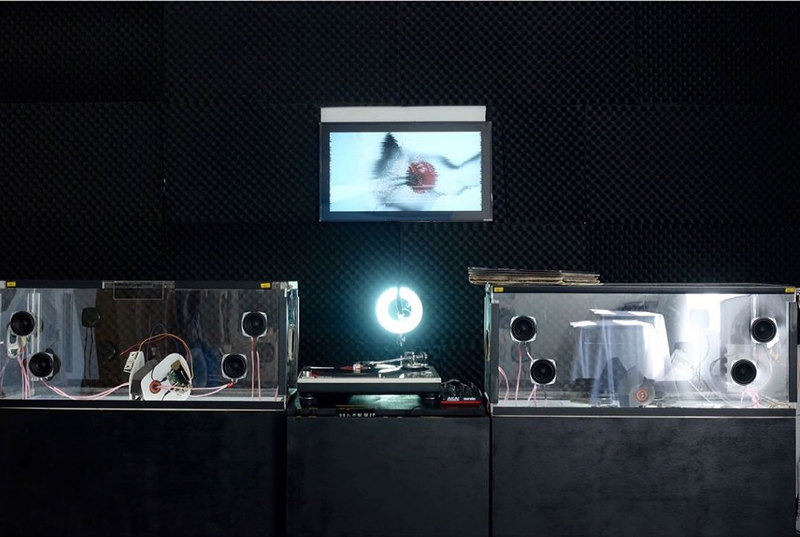 The museum cases, which also double as transparent speaker boxes, house the Sonic Graffiti mask within an acrylic box as if were an actual museum object. To display the significance of audio and music in this future world, the device connects to the world outside of its box through the speakers while everything else is housed in. 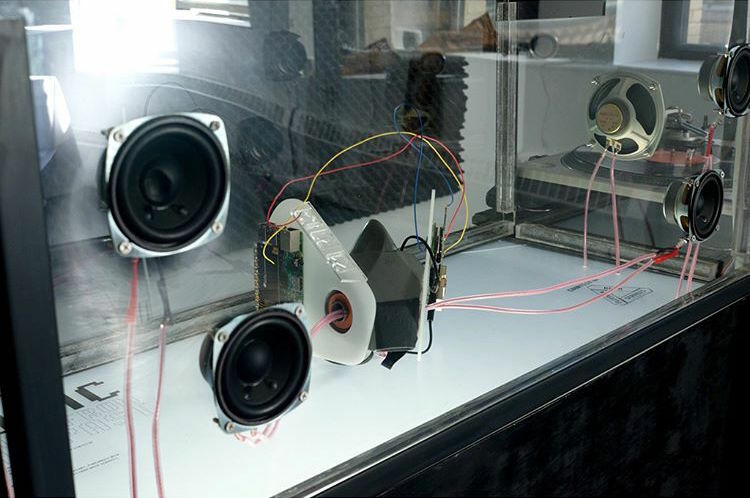 Each musuem-speakerbox, custom made by myself, allows for the attachment of 4 speakers to the outside front of the box while the wiring is exposed, but contained within the case. The sound from all 8 of the speakers is controlled via Raspberry Pi which features an interactive playlist. 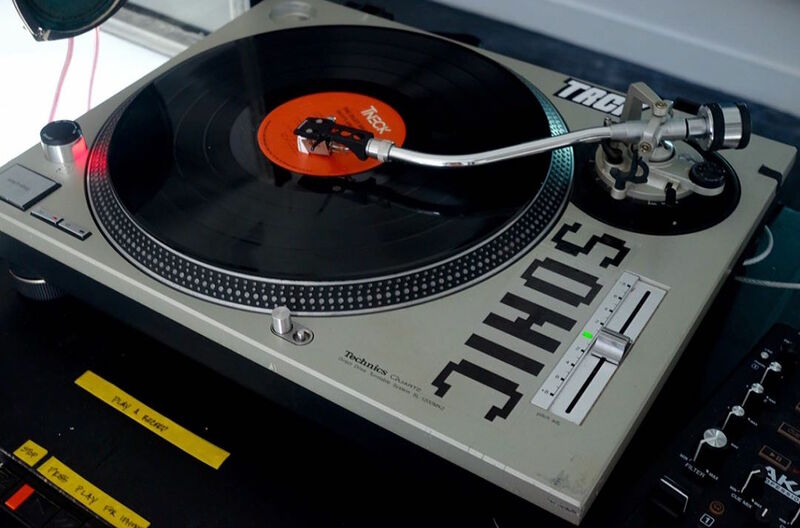 Each case also features 2 retrofitted speakers from vintage boomboxes (Sanyo MW-200 and Panasonic RX-3940) on each side which play output from the installations integrated radio and Technics 1200 turntable. 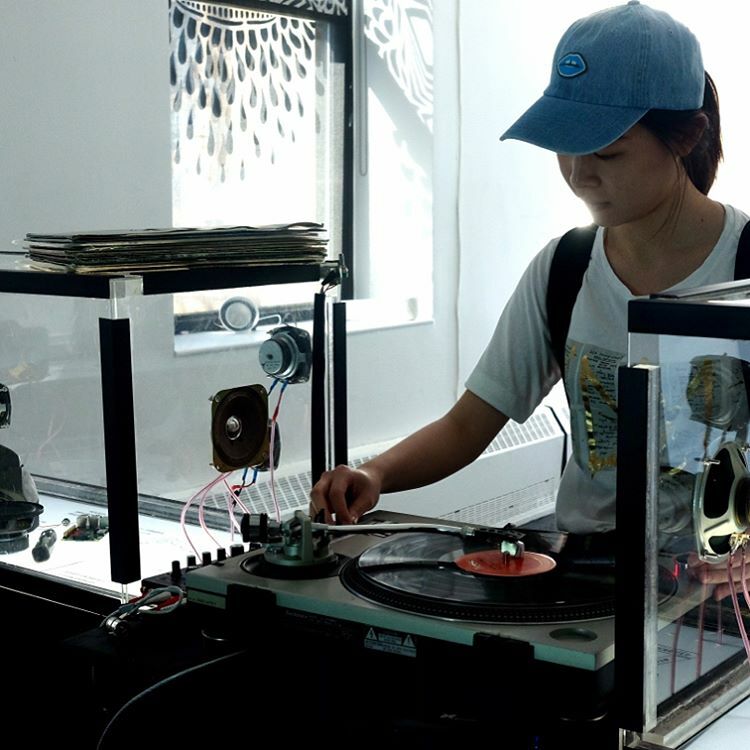 The exhibit also provided an 3.5mm auxiliary audio jack for visitors to play music over the sound system from their iPhone and other mobile audio devices as well.